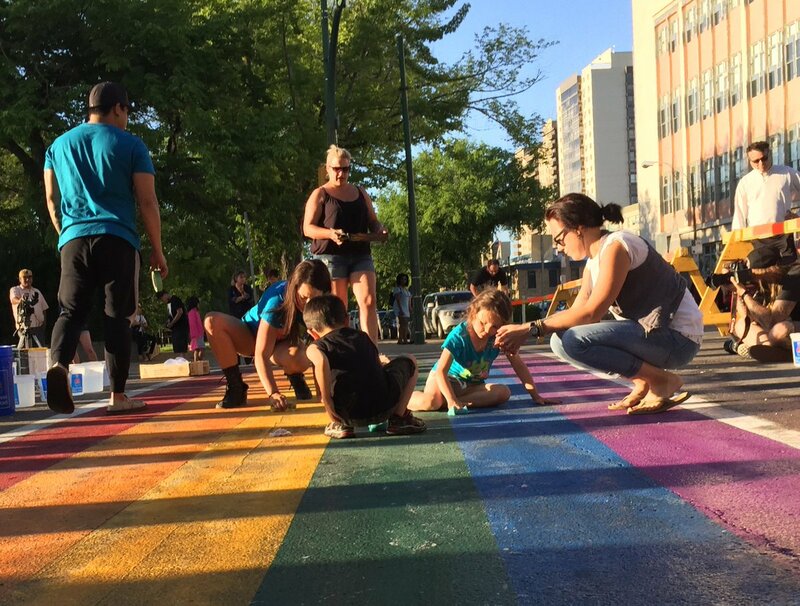 SASKATOON - Under a warm evening sun, volunteers gathered at the intersection of 23rd Street and Fourth Avenue with buckets of water and scrubbing sponges to scour away a pair of tire tracks left across one of the two rainbow crosswalks in downtown Saskatoon. City of Saskatoon workers painted the crosswalks there and at Third Avenue and 23rd Street in celebration of Pride in Saskatoon, shortly after Divas Nightclub raised what it calls the biggest Pride flag in North America atop the Avenue Building downtown. The annual Pride festival kicks off on Friday. Celebration turned to disappointment with the appearance of the black skid marks at the Fourth Avenue intersection on Monday. The father of a 20-year-old man who took responsibility for the act contacted Danny Papadatos, co-chair of the Saskatoon Pride Festival. “It was a really emotional conversation,” Papadatos said. Based on the conversation, Papadatos said he doesn’t believe the young man knew what the rainbow symbol meant, and that’s likely why he came forward — because he didn’t understand what his actions would mean to people. Other passersby stopped to crouch down side by side with the volunteers to clean the black streaks away. Volunteers and staff also re-painted the crosswalk. Support from people in the LGBT community and their allies has been overwhelming, Papadatos said. As he went to re-join the group of volunteers, he paused and pointed at them. 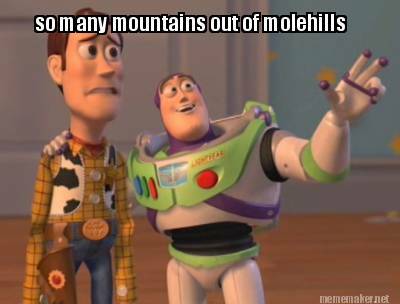 Just another day in friendly, kind, polite Saskatchewan. Poor little snowflakes. Looks like graffiti on the street. You object to people who see something as a problem getting together and doing something constructive about it, without government involvement or spending? That's odd, I thought that would be right in line with your principles. Unless you're just a right-wing cheerleader and all your statements about the value of hard work, independence, and self-reliance are just BS. The problem is the painted crosswalk. It discriminates against straight people. THe whole thing has been blown out of proportion. There are burnout marks all over every town and this one is no different than any other. No, dear. You were mocking the people who took it upon themselves to go do something they saw as needing done, without whining to the government or demanding a new, tax-funded program. Now that it's been pointed out that you are simply exercising blind hatred against lefties, even when they are doing things completely in line with what you claim to be your principles, you're trying to move the goalposts. Anything to avoid crediting these "special snowflakes" for getting together and doing what they felt needed to be done without licenses, permits, taxes, or government BS. Your hypocrisy is matched only by your cowardice. How does it discriminate against straight people? Are straight people not allowed to use the crosswalk? Who owns the Asteroids? and who owns the moon?